We are grateful to have found a reasonably priced, up front plumber . . . great experience. Thank you Juan (and Juan’s boss). Mary & David L.
These guys and gals are good people. They did a great job and treated my house like their own. I will not hesitate to highly recommend them to everyone! 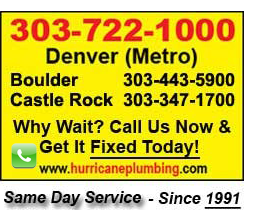 Jason D.
I have heard so many nightmares with plumbing companies but feel very fortunate to have found the best. Anything you need relating to plumbing or drain cleaning this is the company to do it. Thank you Hurricane Drain. Gwen F.
We searched positive yelp reviews and reached out to Hurricane Drain. We found them to be professional, knowledgeable and service with a smile. DaSandra D.
Just had another positive experience with this company!! Excellent service from the initial phone call to when the service tech drives off. I highly recommend them. Craig J. What a great, affordable, and awesome company. They are honest about their service and the price. Won’t call anyone else. Want service done with a smile and want the job done right the first time? These are your guys! Great workmanship and excellent service. Kelley H.